Pilates exercises are a great way to tighten and tone your abs and give you the “ beach body” that you’ve been missing. Pilates exercises work by engaging and strengthening the internal abdominal muscles that are responsible for giving you a flatter, more toned stomach. Most Pilates exercises work to tighten your core muscles — the abdominal muscles, back muscles, and the muscles around your pelvis. Not only do Pilates help to flatten your stomach, but stronger core muscles enable you to do more physical activities. Learn how to do Pilates exercises at San Diego’s premier studio for Pilates and personal training, Propel PIlates and Fitness. Located in Rancho Bernardo, we offer focused and safe workouts to help you reach and surpass the fitness and wellness goals that you’ve set for yourself. At Propel, you have a choice of small group classes, semi- or private sessions with one of our expert Pilates instructors. In addition to strengthening your core to tone and tighten your abs, Pilates can also help to promote weight loss, and help to increase your flexibility, balance, and stamina. Who doesn’t want a body with chiseled, six-pack abs? While regular workouts and a healthy diet can help you lose weight, you need to add PIlates ab exercises to develop a stronger core for a flatter stomach. Not only do Pilates exercises target your abdominals, but they also help to promote better posture by targeting the muscles that support your spine. This, in turn, will help to prevent injury to your back and will reduce stress and strain on your ligaments, tendons, and joints. At our Pilates classes, you’ll get a full body workout using specialized equipment such as the Reformer, Cadillac and Ladder Barrel to strengthen your core muscles, improve your coordination, and help to reduce stress. 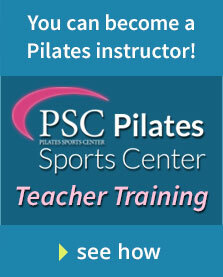 If you would prefer Pilates mat exercises, we offer these classes as well. Are you tired of looking in the mirror each morning and seeing a flabby tummy, but can’t seem to get motivated to do anything about it? Join our group Pilates classes and let our Pilates experts introduce you to the mind body discipline that is Pilates. At our San Diego studio, you’ll learn the Pilates basics — improved body awareness, good posture, and and ease of movement. By working on strengthening your core muscles, you’ll tone and tighten those loose ab muscles so that, when you look in the mirror, you’ll see a tight, flat tummy. Call our studio today or visit our website to sign up for a free introductory session.